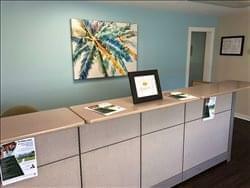 Find My Workspace lists over 95% of the executive office suites market in Egg Harbor. Simply click Request Quote to check pricing for one office, or Add to Basket for multiple offices. Professional office space that come fully furnished, where you can meet clients and have a quiet area to work on a regular basis. This site has cubicles available in the office building where you will have the use of a conference room and and private cubicle space for a low price. Commercial address that will satisfy any license requirements for your business. Price includes use of wireless internet and all utilities! Flexible terms offer an experience that can be tailored to any business, big or small. On-site security system is present to ensure that both clients and their guests have a safe work environment.